Our oil only absorbents selectively absorb petroleum based liquids while repelling water to mitigate oil spills. 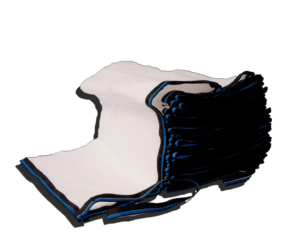 They will float on water or hug the ground and are ideal for oil spill cleanup and containment. Available in a wide variety of sizes at the best price, these include oil only pads, rolls, sweeps, socks, booms and pillows. Absorb petroleum and petroleum based liquids while repelling aqueous solutions. The natural white material easily alerts you to machine leaks as well as current saturation level. Pads are ideal for catching drips and soaking up spills on water or land. Flame resistant oil only pads melt when exposed to high heat. Pads can be wrung out and incinerated after use. Upon request, pads and rolls can be machine perforated to allow you to use only what is needed. NFPA 77, NFPA 99 certified. Meets Mil-STD-301C, Method 4046. 29 CFR 1910.106(h)(7(i)(a) – When working with or around flammable liquids, precautions must be taken to prevent static and other sources of ignition that could ignite flammable vapors. SMS (Spun Bond/Melt blown/Spun Bond) absorbents assure great strength and absorption capabilities to address the most demanding of industrial applications. The lint-proof construction allows for use around sensitive equipment and clean rooms. SMS three layer absorbents are built by ultrasonically welding our melt blown polypropylene between two layers of high tensile strength, Spun Bond polypropylene. Three layer SMS (Spun Bond/Melt blown/Spun Bond) can be used where lint-proofing is required. Special sonic bonded, three layer materials give added strength for tough jobs and high traffic areas. The two spun bond outer layers give great tensile strength. To reduce waste, wring out and incinerate. Our solid construction oil only boom is made with the highest quality polypropylene components to produce the most effective oil absorbent containment boom on the market. Our booms do not have voids to compromise oil spill response performance. 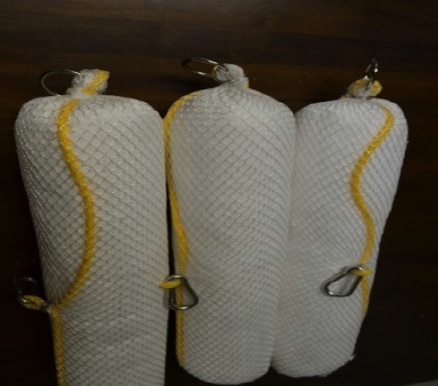 You can rely on the steel nickel plated rings, carabineer style steel nickel-plated snaps, UV resistant polyester netting and high tensile strength rope to help eliminate boom roll. Our boom is primarily used to absorb / skim oil based spills from all types of terrain and bodies of water. They link together to make barriers of any length for containment and absorption. 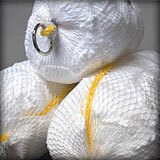 We manufacture our booms using an outer net of polyester and an inner sock of spun bond polypropylene. Rope running along the length of the boom gives added strength for deployment and retrieval. Strong, carabiner style, nickel plated steel bit snaps and rings allow you to link booms together for greater length. 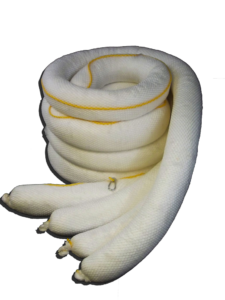 Oil-only polypropylene fill is highly absorbent and selective in absorbing oil-based spills in a variety of environments. Spun bond polypropylene skin is UV resistant and meets NFPA 99 standards for static decay. Absorbs and retains oil and oil-based liquids—including lubricants, fuels and cleaning agents. Hugs ground to contain spills on land; floats on water to contain and soak up spills. Spaghetti boom allows thick oil to efficiently flow through the material to penetrate deeply into the boom. 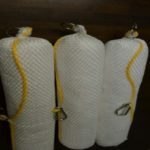 The tough outer mesh net protects and keeps the material in place as the spaghetti strip absorbent filler is specially designed to contain and attract viscous oil based liquids deeply into the boom. The open net and spaghetti like strips allow oil to penetrate deeply and quickly making it an ideal product for fast currents and cold water applications. Rope running along length of boom adds strength for deployment and retrieval. Strong, zinc-plated carbon steel attachment clips and rings allow you to link booms together for greater length. Tough outer mesh resists snags and debris while remaining pliable. Bilge booms are used to keep boat bilges clean and free from fuel oils. They are also be used as in water separators, storm drains, collection ponds, storm drains, wells and various other special purposes. Simply lower a bilge boom into your bilge, sump, catch basin or tank to remove oil. Bilge booms float on the water even when completely saturated. 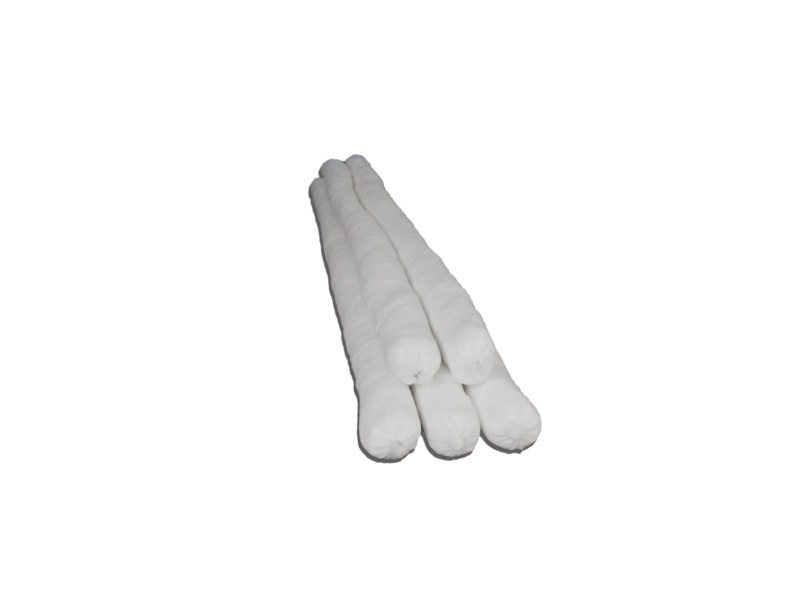 They are highly absorbent and come with a looped rope for easy deployment and retrieval. Our oil only sweep is manufactured with durability in mind. A melt blown polypropylene folded bale with an end to end woven polypropylene reinforcing strap makes for ease of use on the job site. The polypropylene is also sewn on the outside edges for extra strength. Two straps extend from the 100’ expanse of material to allow responders to “sweep” the surface of the water or anchor it to a boom to catch oil in fast moving currents. Pom pom’s are used for cleaning the shoreline, scrubbing rocks and trees as individual poms or used in a string of 50 to capture oils on the open waters. The individual strands spread out in the water capturing thinner oils such as #1 or #2 fuel oils. When capturing #1 and #2 fuel oils, the pom poms can be pressure washed and re-used. Pom poms are packaged either loose or on a rope. POMPOM-30 is a loose packed bale of 8 oz. pom poms. You will find 30 Poms per bale, loose packed, which allows the user to use the product by hand in small confined spaces. 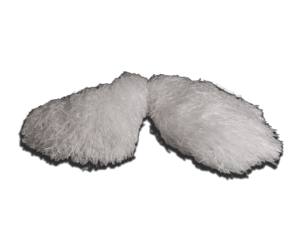 A highly absorbent sock filled with oil only polypropylene fibers encased with a very strong, tear resistant polyester outer skin. Socks are flexible and can be molded into tight areas and around corners of equipment that may leak. Also can be used in water separators. Sock is used in spill containment to create a barrier to prevent spilled liquids from spreading. 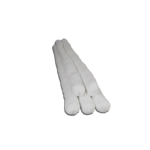 Polypropylene fill is highly absorbent and flexible. Sock absorbs and retains oil based fuels and lubricants while repelling water. 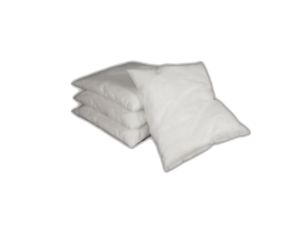 Highly absorbent pillows filled with oil-only polypropylene fibers, encased with durable, white oil only, lint-proof, spun bond outer skin. Pillows absorb spills on water or land without absorbing water. Great for placing in small, tight places to capture high volumes of liquid. Pillows are used to accelerate clean up. Pillows are easy to deploy and retrieve. Small, flexible, compact size allows use in small cramped spaces without sacrificing performance.